Home 2013 Minnesota Twins Game-Used Lineup Card - Choose your Game Date! 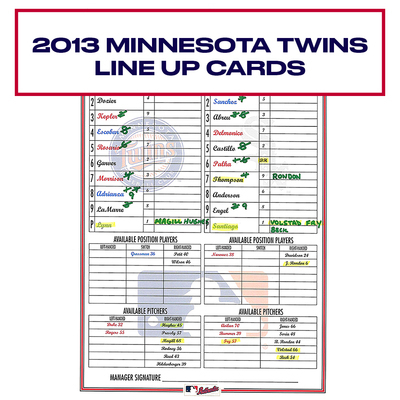 Purchase a Game-Used Lineup Card from the Minnesota Twins 2013 Season. Use the new dropdown menu to choose your game date. Each lineup card includes a clear 11x17 display sleeve and is MLB Authenticated.